Who is Childish Gambino and why does he deserve your attention? It wasn’t Drake’s “God’s Plan,” or Kendrick Lamar’s “All the Stars.” The winning song was “This Is America” by the one-of-a-kind artist, Childish Gambino. Along with that, he also won Record of the Year, Best Rap/Sung Performance, and Best Music Video. If you’ve been living under a rock or just don’t like good music, maybe you haven’t heard of this musical genius. So let us take you on a crash course on what Donald Glover—or Childish Gambino—is all about. Childish Gambino is—surprise!—Donald Glover. Donald got the unique and rather clever name from a simple Wu-Tang Name Generator. Don’t bother trying because only the name “Donald Glover” gets the best result. He’s an actor, comedian, writer, producer, director, rapper, singer, songwriter, and DJ. Well, to summarize, Donald Glover can do it all. At 23, he was hired by veteran comedian, Tina Fey, to write for her sitcom, 30 Rock. Then he would later star in another sitcom called Community. During those times, Donald was already experimenting on producing music, producing some mixtapes. And when he realized he could make a career out of it, he got out of the TV comedy business to pursue his love for music. Thus, Childish Gambino was born. Of course, Donald really didn’t leave his acting career behind, starring in some movies and TV shows here and there like Solo: A Star Wars Story as Lando Calrissian and as Aaron Davis in Spider-Man: Homecoming. He’s also going to be the voice of Simba in the live-action (but really CGI) adaptation of The Lion King. But, right now, he’s probably known for the FX show, Atlanta, which he created, produces, stars in, writes, and occasionally directs. Atlanta has garnered more than its fair share of awards as well in the Emmy’s and the Golden Globes. Despite being born in California, Donald Glover would be raised in Stone Mountain, Georgia, a suburb in Atlanta, which of course, is the inspiration for his critically-acclaimed TV show. He wanted to portray what it’s like being a rapper in Atlanta and trying to get your foot in the door. It also stars Brian Tyree Henry, Lakieth Stanfield, and Zazie Beetz. It was in 2006 when Donald was contacted by Tina Fey and her 30 Rock staff. His work on the third season of the show earned him a Writers Guild of America Award for Best Comedy Series. This was also the time when he brought up the Wu-Tang Name Generator and got Childish Gambino. He would create his first mixtape, Sick Boi. In 2009, he would become more known to a wider audience through the show Community, where he played Troy Barnes, a jock who turns to the nerdy side and becomes friends with a geek named Abed, portrayed by Danny Pudi. Still in Community in 2010, Donald Glover would make a case to become the next Spider-Man after Tobey Maguire. With the #donald4spiderman trending, fans almost got what they wished for, but, of course, that role went to Andrew Garfield. A year later, comics writer, Brian Michael Bendis, would announce the debut of Miles Morales, an African-American version of Spider-Man, citing Donald Glover on Community as his biggest inspiration. From 2011 to 2014, Childish Gambino would creep in on the music industry, and take center stage. He would release album after album until everyone took notice of his unique and unconventional approach to hip-hop, rap, and R&B. 2015 would be an acting year for Donald as he appeared in three films in that year alone: The Lazarus Effect, Magic Mike XXL, and The Martian. From there, he would develop his very own show, Atlanta. At the end of 2016, Donald released his greatest album yet, Awaken, My Love!, an album which featured Gambino singing rather than rapping. In a change of genre, he would incorporate psychedelic soul, funk, and R&B to make a whole new kind of music on his own. 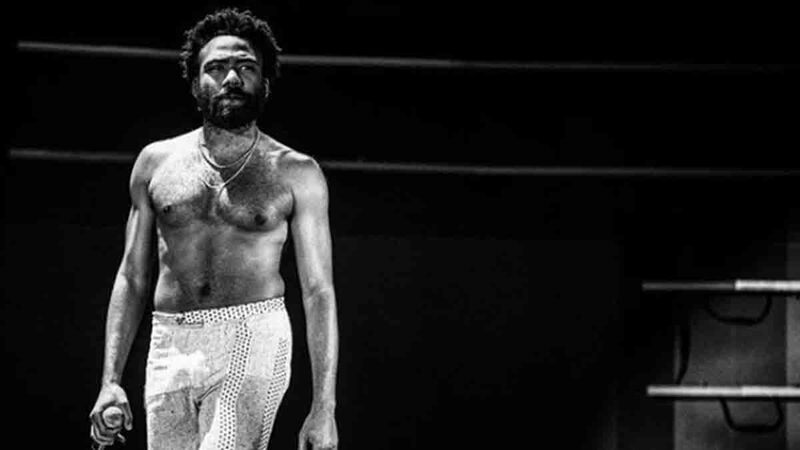 In 2018, he would release the award-winning song “This Is America.” Of course, that would only be the start of the biggest year of Donald Glover’s career. He would star in Solo: A Star Wars Story, easily being the most memorable character in the film. He then released an EP called Summer Pack containing the songs “Summertime Magic” and "Feels Like Summer.” And as of that time, he’s been working with Rihanna on a secret project in Cuba titled Guava Island.